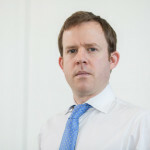 Will McDonald is UK and Ireland Public Policy Director at Aviva. Previously Will worked in the Treasury, the Dept for Work and Pensions and DCLG as a Special Adviser to Rt Hon Yvette Cooper MP between 2007 and 2010. Will also managed the public affairs team at the Commission for Racial Equality and worked for 5 years in Parliament as a researcher. He has degrees from Leeds University and Harvard’s Kennedy School of Government, and was Chair of a primary school governing body for 7 years. Will and his wife have two awesome young children. Yusuf lives and breathes the daily challenges and joy of being a hands on father of three children aged 6 and under. 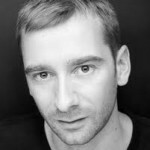 He is a co-founder of an innovative solution for working families, the Third Door – the UK’s first shared workhub with an onsite nursery, allowing parents to work close to their child and be part of a community of like-minded professional parents. He has 20 years experience within the technology and management Consulting sector, having worked in both corporates (BT, PwC, Accenture and Dell) and several start-ups. Yusuf also holds an MBA. With more than a decade of experience in emerging markets, Arturo Franco combines high-level positions in Fortune 500 corporations and global organizations with public policy and international development experience. In 2008, Arturo became a Global Leadership Fellow at the World Economic Forum – focusing on Latin America. In 2011, he joined the Center for International Development at Harvard University as a Resident Fellow, and collaborated with the Brookings Institution. He is currently managing partner at Turnlight www.turnlight.org Throughout his career, Arturo has founded and advised several social enterprises and NGO’s, including Causas www.causas.org, the largest interactive platform for civil society in Mexico. He currently Chairs the Advisory Board of Teach for Mexico. 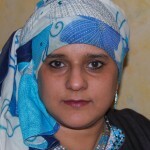 Humera has written a series of books on Islam and sexual health and produced resources on Muslim fatherhood. Recent projects include the British Muslim or Wot series working with young Muslims on issues connected to identity using the medium of film, art, spoken work poetry, music and discussion. Humera co-facilitates a Jewish-Muslim dialogue group and was the Family specialist member for the Archbishop of Canterbury’s Christian Muslim Forum (2006-10). As a freelance consultant Humera has written numerous articles for various publications including Q-News, Guardian and the Independent. She has also had various media and public appearances speaking on a wide range of issues from multiculturalism, Islamophobia and racism to social issues such as sexual abuse, generation conflicts, domestic violence and gender. 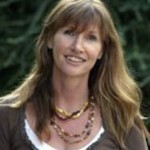 Tina is a Professor of Sociology at Oxford Brookes University. Her research expertise includes motherhood and fatherhood transitions, gender and reproductive health and her most recent book ‘Making Sense of Fatherhood: Gender, Caring and Work’ was published by Cambridge University Press in 2011. Tina has lived and worked in the Solomon Islands and Bangladesh and been engaged by the World Health Organisation to advise on social and cultural issues related to the introduction of the HPV vaccine. She has been invited to present her work in Australia, USA, India, Canada and Argentina as well as mainland Europe and has been engaged as an adviser to political parties and think tanks and participated in various TV and radio programmes in relation to her research and publications on motherhood and fatherhood. Tina is married, has three daughters and lives in Oxfordshire. Charlotte is the Founder of Women On …, an independent, non-partisan campaign group which aims to transform the debate around women. She was previously Finance Director of the successful NO to AV campaign in the referendum on AV in May 2011, and stood for the Conservative Party in the 2010 General Election in Brighton Pavilion. Prior to becoming involved in politics, Charlotte was the CEO of Big White Wall, a socially responsible business spearheading the provision of mental health therapies online. Charlotte has an MBA from the J. L. Kellogg Graduate School of Management, a top US business school, and a BSc in Biochemical Engineering from UCL.